This has to be the fashion bloggers favourite! 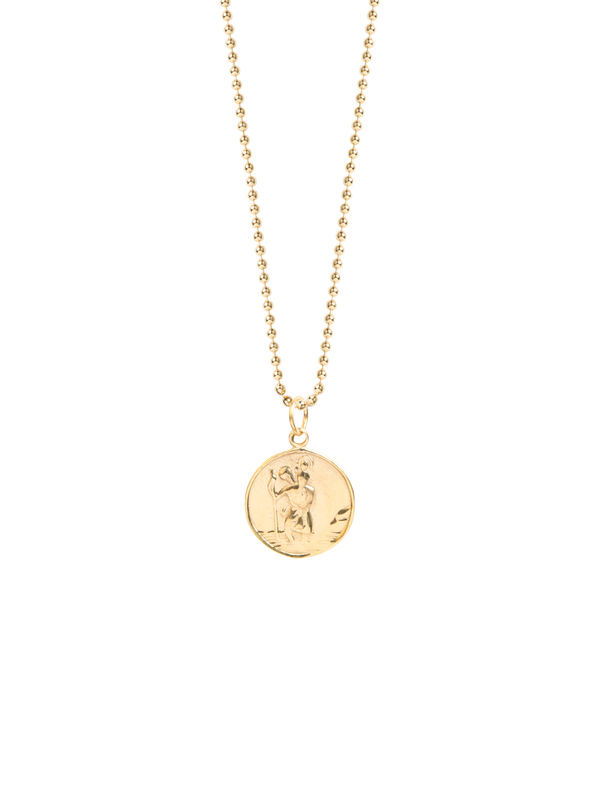 Its the perfect necklace to layer with smaller pieces to give that en trend look. Head over to our Instagram feed to see numerous examples of how its done! 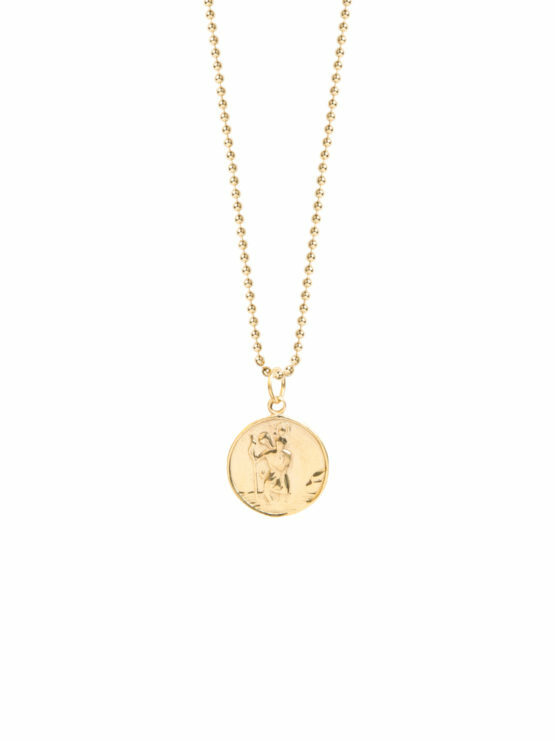 The gold St Christopher, which measures 2cm in length hangs on a 60cm sterling silver ball chain which has been plated in 23.5K gold.